The following is taken from a sermon preached on 2 Corinthians 13:12 [“The grace of our Lord Jesus Christ and the love of God and the fellowship of the Holy Spirit be with you all.”] by Archbishop Michael Ramsey at Trinity Church, New York City, on Sunday, October 14, 1962. Go HERE to read the full sermon. And what were the effects that Christ first had upon those who encountered him? There were some who felt very guilty on account of their sins, and he brought to them the assurance of forgiveness that lifted a load off their hearts, when he said, “go in peace and sin no more.” And if that’s you - if you are burdened with a feeling of guilt, be very sure that the absolution that Christ brings - that is, if you confess your sins and ask his forgiveness--can be real and overwhelming. And there were those, alas, who did not realize their sinfulness, because they were just complacent about themselves; and his grace brought home to them the real state of their need, so that they could see themselves in the sight of God, and not just in the sight of their friendly and congratulating neighbours. And if that’s you - and perhaps it is - be very sure that the grace of Christ can bring you to a sense of what you really are in the sight of God’s love and righteousness, and beget in you a real contrition for your sinfulness and a longing for His pardon. That’s another thing that the grace of Our Lord can do for you. And then there were others who were filled with sorrow. Sorrow, fear and anxiety about themselves or about their friends or about the world was in their hearts. And Christ brought to them a Heavenly peace and joy; a peace and joy which He could give as a Heavenly gift, but the world and the world’s environment could not possibly give to them. And if that is your case, and if that is your need, be sure that the grace of Our Lord Jesus Christ can bring to you a supernatural joy and peace through the fixing of your will upon the Divine Will. Remember the great words of Dante: - “in his will is our peace.” And in today’s Collect we have just been praying, “grant that thy grace may prevent and follow us”. Remember that grace means the personal presence of the Lord Christ with its great impact upon you. And would that when those words come, as they do at the end of so many of our services, “the grace of Our Lord Jesus Christ”, we realize that it means no less than that for us. A graphic designer from Mahim, a Mumbai neighborhood has created the official logo of the canonization of Mother Teresa of Calcutta, which will take place at the Vatican next September 4th. Karen Vaswani nee D’Lima is a Roman Catholic from the parish of Our Lady of Victories in Mahim. She started her carrier as a graphic designer 21 years ago and in addition to her professional work, puts her talents at the service of many parishes in the city, everything “for the Glory of God,” according to the spirit of Mother Teresa. “I never met Mother Teresa in person - she told AsiaNews - but I always admired her work and was often involved in charity work, lending my professional experience”. The woman is married to Sindhi Ishwar Vaswani (Ishwar means “God”); they have a teenage daughter named Kimaya ( “Divine” in Sanskrit). Speaking to AsiaNews, Karen explained “The Archdiocese of Calcutta has contacted me and asked me to design the logo for the celebrations of the canonization of Mother Teresa of Calcutta. Sister Prema, the superior general of the Missionaries of Charity and Fr Brian Kolodiejchuk, the postulator, loved it, so they decided to adopt it for international use. I am very excited and full of gratitude for that”. Karen took three days to create the logo of Mother Teresa. “The theme given by the Vatican – she explains - was ‘’Carrier of Gods tender and merciful love”. So I decided to work on a classic pose of Mother Teresa, where she holds a baby in her arms with loving kindness”. “I preferred to use very simple style of graphics and only two colors, so all media at all levels, can use it with ease”, she added. Karen reveals that she prayed before, during and after work: “First of all, I thanked God for giving me this opportunity; then I prayed for the grace and guidance to create a logo that was simple and powerful, which speaks for itself”. David Bentley Hart is an Eastern Orthodox philosophical theologian, philosopher, and cultural commentator. 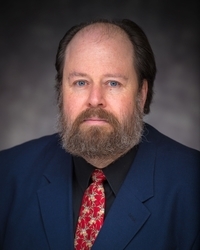 He has held positions at the Notre Dame University Institute for Advanced Study, St. Louis University, The University of Virginia, Duke University, and Providence College. He has also been an endowed fellow of the Center for Theological Inquiry in Princeton. He was the winner of the 2011 Michael Ramsey Prize of the Church of England. 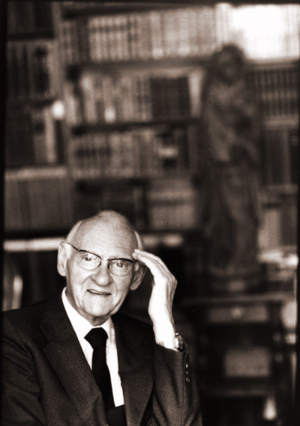 Hart’s specialties are philosophical theology, systematics, patristics, classical and continental philosophy, and Asian religion. His most recent work has concerned the genealogy of classical and Christian metaphysics, ontology, the metaphysics of the soul, and the philosophy of mind. His principal scholarly books are The Beauty of the Infinite (2003); The Doors of the Sea (2005); In the Aftermath (2007); Atheist Delusions (2009); and The Experience of God (2013). He has also published a popular history of Christianity (2007), a volume of short stories, and over 150 articles in such scholarly journals as Modern Theology, The Scottish Journal of Theology, and Pro Ecclesia, as well as in such trade publications as The Times Literary Supplement, The Wall Street Journal, First Things, and Commonweal. David Bentley Hart explains how he reconciles suffering with his belief in a good God. David Bentley Hart on whether the Gnostic gospels should be taken seriously. David Bentley Hart examines whether humans can create objective ethics without referring to a deity. David Bentley Hart explains why New Atheism has become so popular. Oliver Burkeman writing about David Bentley Hart’s book The Experience of God on The Guardian website (Tuesday 14 January 2014). One reason that modern-day debates between atheists and religious believers are so bad-tempered, tedious and infuriating is that neither side invests much effort in figuring out what the other actually means when they use the word ‘God’. This is an embarrassing oversight, especially for the atheist side (on which my sympathies generally lie). After all, scientific rationalists are supposed to care deeply about evidence. So you might imagine they’d want to be sure that the God they’re denying is the one in which most believers really believe. No ‘case against God’, however watertight, means much if it’s directed at the wrong target. Yet prominent atheists display an almost aggressive lack of curiosity when it comes to the facts about belief. In The God Delusion, Richard Dawkins expertly demolishes what he calls ‘the God hypothesis’, but devotes only a few sketchy anecdotes to establishing that this God hypothesis is the one that has defined religious belief through history, or defines it around the world today. AC Grayling insists that atheists are excused the bother of actually reading theology – where they might catch up on debates among believers about what they believe – because atheism “rejects the premise” of theology. And when The Atlantic ran a piece last year entitled Study theology, even if you don’t believe in God, Jerry Coyne, the atheist blogosphere’s Victor Meldrew, called it “the world’s worst advice.” And on and on it goes. My modest New Year’s wish for 2014, then, is that atheists who care about honest argument – and about maybe actually getting somewhere in these otherwise mind-numbingly circular debates – might consider reading just one book by a theologian, David Bentley Hart’s The Experience of God, published recently by Yale University Press. Not because I think they’ll be completely convinced by it. (I’m not, and I’m certainly not convinced by Hart’s other publicly expressed views, which tend towards the implacably socially conservative.) They should read it because Hart marshals powerful historical evidence and philosophical argument to suggest that atheists – if they want to attack the opposition’s strongest case badly need to up their game. At Mass last Sunday we heard Jesus call his followers a “little flock” (Luke 12:32). That can be disconcerting. We like to focus on times in history when outwardly the Church has done well, the ethical thinking and legal systems of our culture have been broadly based on Scripture, and people in general responded positively to the proclamation of the Gospel. But history shows that at other times the Church has indeed been a “little flock”, in spite of the godliness and faith of her children. This is a hard truth for those who think of the Church primarily in terms of its “institutionality” . . . whether powerful state churches with their great cathedrals and “civic religion”, the new multi-national networks of “mega-churches”, or even the incredibly inspiring scenes of two million young people with Pope Francis at World Youth Day two weeks ago. In early 1994 I was staying in Rome with a group from Ballarat on the way to London for the consecration of our new bishop, and spent time with an Australian Roman Catholic priest who for some years had worked in Rome. I asked him whether the experience had changed him in any way. He replied that because so many leaders, students and pilgrims from all over the world interact in Rome, he been liberated from his habit of viewing the Church primarily through the eyes of English-speaking western culture (he had been brought up an Anglican). In fact, Jesus uses different pictures to show us that what looks like the littleness of his “kingdom” - and even its struggle to survive - is never an indication of its ultimate importance. As well as the “little flock”, he talks about the tiny mustard seed that becomes the biggest of the shrubs (Luke 13:19), and the handful of yeast mixed in with 60 pounds of dough (Luke 13:21). These images are as much about waiting with prayerful expectancy and hope as they are about the littleness of the beginning, the hiddenness of God’s work, and the end result of the process. But it’s not just in the sayings of Jesus. It’s the fact that although there were crowd scenes in his ministry - as there are in ours - mostly what he did was very personal. It was small and unimpressive. It was seen mostly in his one to one ministry with people - especially those on the margins of society - the outcasts, those with no-one to love them, those who had lost hope, the wounded, the sick, the desperate. He touched them with his love as he drew them into that “little flock” around himself - the community of faith and love that has never been completely wiped out even in those places where it has suffered persecution, violence and bloodshed. Jesus is trying to encourage people like us who, when the pressure is really on, wonder if all our work and witness actually achieve anything. Perhaps he was looking through the tunnel of time to the bloodbath of martyrdom, not just in the early Church, but also during this last hundred years. Perhaps he could see the wiping out of large Christian communities in Turkey, the Middle East, and North Africa by militant Islam. Perhaps he could even see cultures like our own, historically built on Gospel values, but in which the Church eventually loses out to the forces of secularism and relativism. One of the great Christian leaders of our time was David Wilkerson who started out as a country preacher. Back in the 1960s, he went to New York in order to live among young people whose lives had been torn apart by drugs and violence, and reach out to them with the Gospel. Many were converted through his ministry, and he founded Teen Challenge. He loved to see great crowds come out to worship the Lord and listen to the Gospel being preached (and he certainly drew the crowds! ), but the thing about Wilkerson was that - like Jesus - he understood that loving Gospel ministry happens one to one, and regardless of how faithful the evangelist is, results might be a long time coming. He knew that in every ministry there are seasons for sowing, seasons for patiently waiting in travailing prayer, and then seasons of harvest. Towards the end of his life Wilkerson preached an amazing sermon at a pastors’ conference on the text: “I have laboured in vain, I have spent my strength for nought, and in vain: yet surely my judgment is with the Lord, and my work with my God” (Isaiah 49:4). He spoke of the frustration in the hearts of many who look back over decades of faithful ministry that seem to have produced so few results. He referred to the tears Jesus wept over the unresponsive city of Jerusalem that “knew not the time of its visitation” (Luke 19:44). In sharing with typical honesty the anguish he often felt about his own witness to the Lord, Wilkerson told the story of the Methodist George Bowen, who wrote Love Revealed, a book about Jesus in St John’s Gospel. A single man, Bowen had turned from wealth and fame to become a missionary in Bombay, India, in the mid-1800s. When he got there and found the missionaries living well above the poor to whom they ministered, Bowen gave up his mission support and lived among the very poorest in one room of a most humble ramshackle dwelling, sometimes subsisting only on bread and water, supporting himself with a bit of part time work. He shared his life with the people. He shared their burdens and sorrows. Dressed as they dressed, he would preach lovingly and compassionately about Jesus on the streets of that city in sweltering heat, as he gave out evangelistic literature. Bowen had gone to India full of hope. He’d given everything in obedience to the Lord - his heart, mind, body and spirit. Yet, in over forty years of ministry there, he had not one convert. When he died, however, the missionary societies realised how much the people loved him. Actually, the life he lived for all those years prepared the hearts of many to respond to Jesus. He sowed the seed, others watered, God gave the increase, and eventually a church was even built in his memory. To this day many regard Bowen as one of the truly great missionaries. He simply lived the life of the gospel in the midst of his people. Actually, many western Christians in our day, ordained and lay, feel as if we are sitting with Job on his ash heap, or with Elijah in his cave, as we get used to being the Lord’s “little flock,” especially those old enough to have experienced the short lived post World War II boom in churchgoing, and the renewal movements of the ‘60s and ‘70s. O my God, I beseech you, by your loneliness, not that you should spare me affliction, but that you not abandon me in it. When I encounter affliction, teach me to see you in it as my sole Comforter. May affliction strengthen my faith, fortify my hope, and purify my love. Grant me the grace to see your hand in my affliction, and to desire no other comforter but you. It is salutary when on pilgrimage to Lourdes and seeing the huge crowds joyfully praising God and reaching out for blessing and healing, to contemplate the anguish and pain this young woman prayerfully endured, which was such an important building bock of the subsequent ministry of that holy place. We shouldn’t be surprised, for in her various apparitions Our Lady generally speaks of redemptive suffering as well as the joy of the Gospel. She, herself, had stood at the foot of her Son’s cross, sharing his suffering and pain in fulfilment of old Simeon’s prophecy “a sword will pierce your own soul also” (Luke 2:35). We, as the “little flock” often find ourselves huddled at the foot of that Cross with Mary, as St Paul describes the experience “sharing koinonia in the sufferings of Jesus” (Philippians 3:10), sometimes for our sake, but always in intercession for a wayward world. From the crisis of today the Church of tomorrow will emerge—a Church that has lost much. She will become small and will have to start afresh more or less from the beginning. She will no longer be able to inhabit many of the edifices she built in prosperity. As the number of her adherents diminishes, so will she lose many of her social privileges. In contrast to an earlier age, she will be seen much more as a voluntary society, entered only by free decision. As a small society, she will make much bigger demands on the initiative of her individual members. Undoubtedly she will discover new forms of ministry and will ordain to the priesthood approved Christians who pursue some profession. In many smaller congregations or in self-contained social groups, pastoral care will normally be provided in this fashion. Alongside this, the full-time ministry of the priesthood will be indispensable as formerly. But in all of the changes at which one might guess, the Church will find her essence afresh and with full conviction in that which was always at her centre: faith in the triune God, in Jesus Christ, the Son of God made man, in the presence of the Spirit until the end of the world. In faith and prayer she will again recognize her true centre and experience the sacraments again as the worship of God and not as a subject for liturgical scholarship. The Church will be a more spiritual Church, not presuming upon a political mandate, flirting as little with the Left as with the Right. It will be hard going for the Church, for the process of crystallization and clarification will cost her much valuable energy. It will make her poor and cause her to become the Church of the meek. The process will be all the more arduous, for sectarian narrow-mindedness as well as pompous self-will will have to be shed. One may predict that all of this will take time . . . But when the trial of this sifting is past, a great power will flow from a more spiritual and simplified Church. Men in a totally planned world will find themselves unspeakably lonely. If they have completely lost sight of God, they will feel the whole horror of their poverty. Then they will discover the little flock of believers as something wholly new. They will discover it as a hope that is meant for them, an answer for which they have always been searching in secret. Thank the Lord for the continuing influence of the Church. Indeed, the paradox is that while so many local parishes struggle to survive in western Europe and places like Australia and New Zealand, the crowds attending cathedrals and flocking to places of pilgrimage have never been bigger. It would be foolish to deliberately collapse the mission in places where the old paradigm of the parish church and school is still “light” and “salt” in its local community. But we need to nurture the “new movements”, “fresh expressions”, “new monasticism” and other ancient and modern ways of being the Church, to embrace the vision articulated by Ratzinger, and be more open to the Lord, the real builder of the Church (Matthew 16:18). It grieves me, however, that so many Anglican leaders - including some of my friends! - are losing their nerve as they manage numerical decline. It’s not just that in order to prop up “the system” they embrace a flawed and bureaucratised managerialism. It’s also that they have been frightened into making any stand at all for Gospel values and Catholic truth, lest the culture disapprove. More than anything else, what they fear is unpopularity. They have allowed diocesan and general synods to be turned into magisterial bodies that can endlessly alter the faith of the Church without any reference to the fact that our formularies commit us to the Catholic faith “as this Church has received it.” Reflecting widespread attitudes among the clergy, not just traditionally from the “liberal” centre, but also - unbelievably - many with catholic and evangelical origins, some of them seem intent on recasting the distinctively Christian revelation. “This I command you, to love one another. “If the world hates you, know that it has hated me before it hated you. If you were of the world, the world would love its own; but because you are not of the world, but I chose you out of the world, therefore the world hates you. Remember the word that I said to you, ‘A servant is not greater than his master.’ If they persecuted me, they will persecute you; if they kept my word, they will keep yours also. But all this they will do to you on my account, because they do not know him who sent me . . .
“I have said all this to you to keep you from falling away. They will put you out of the synagogues; indeed, the hour is coming when whoever kills you will think he is offering service to God. And they will do this because they have not known the Father, nor me. But I have said these things to you, that when their hour comes you may remember that I told you of them.” (John 15:17 - 16:4). In many parts of the world, the Church is doing really well. People attend Mass in their tens of thousands. The gospel is preached and the people live their faith. It is no exaggeration to say that in Africa and Asia the numerical and spiritual growth of the Church has been explosive. Praise God. But in other parts of the world, although we dream of that kind of response to the Gospel, it is really hard work, and we are such a “little flock.” It is for us to allow the Holy Spirit to do whatever work within and amongst us that he wills during this time, even as we continue to dream of great harvests. 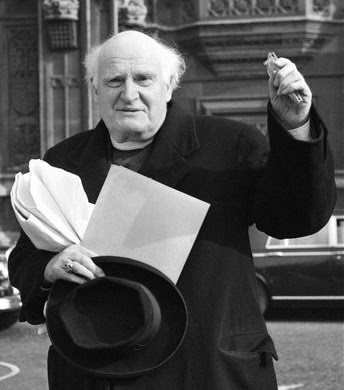 And while we do that, we remember the faithfulness of those who like George Bowen sowed seeds that grew only after he had died, with the prophetic words of Josef Ratzinger and that Whit-Monday Mass in Rome ringing in our ears. As orthodox Anglicans we might even feel as if we are “a little flock within a little flock”! . . . but we have been promised the Kingdom. And we live in the Kingdom, which is righteousness, peace and joy in the Holy Spirit (Romans 14:17); the Lord “works with us” confirming the preached word “with signs following” (Mark 16:20). We are those who even in this world have “tasted of the powers of the age to come” (Hebrews 6:4), who in the Mass are swept into the glory of the heavenly worship with Jesus our great high priest who gave his life for the world and who ever lives to intercede for us (and with us). Jesus said, “Fear not, little flock.” Later in that passage he tells us to be ready for his coming, like servants who patiently wait through the night for their master’s return. Do you remember how it was in the night, that the Lord came to free his people in the Exodus (Wisdom 18:6)? Do you remember how it was in the night that Jesus rose from the tomb? Do you remember the prophecy that it is in the night, when things are as bad as they can get, when “deep darkness” covers the people, that the Lord will arise upon them and reveal his glory (Isaiah 60:1-2)? Clare was born Chiara Offreduccio in 1193 or 1194, the daughter of a wealthy and highly educated family in Assisi. When Francis began to preach the Gospel in the squares of Assisi in 1210 Clare was 16 years old, 11 years younger than him. Even as a child her heart was turned towards the Lord, and she would share her food with the poor and needy people of the town. She had already refused several offers of marriage. At the age of 18, she was captivated by Francis' Lenten preaching of a Christ-centred simple gospel life, and especially his emphasis on poverty as a special vocation. She had several secret meetings with him, accompanied only by a friend, Bona, and made up her mind to join him. Not surprisingly, Clare's family were outraged at what she had done. They sent armed men to bring her back, without success. When Clare's younger sister, Catherine, followed her only a fortnight later, the family made even more violent attempts to force her to return home. They were in fact carrying Catherine away physically, but Clare prayed, and Catherine became so heavy that they could not lift her. Defeated, they returned home. Francis received Catherine, too, as a sister, and gave her the name Agnes. 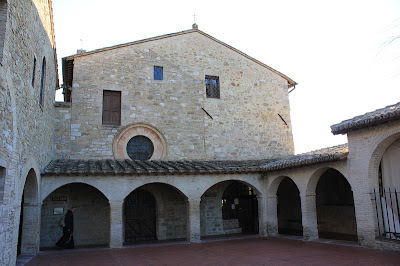 Then Clare, Agnes and several friends moved to San Damiano, the church where Francis had heard Jesus speak to him from the crucifix, charging him to "rebuild" the Church. Here the first community of Poor Clares came into being. Clare's widowed mother joined as well. It was said that the followers of Clare were the most beautiful young girls from the best families of Assisi. The community grew rapidly, and in 1215, very much against her will, Clare was made Abbess. The women devoted themselves to prayer, nursing the sick, and works of mercy for the poor and neglected. The order came to be called the "Poor Clares." They wore no shoes, ate no meat, lived in a house that was unsatisfactory even by the standards of that era. They also kept silent most of the time. They had no beds, but slept on twigs with patched hemp for blankets. Whatever they ate was food for which they had begged. Clare made sure she fasted more than anyone else. In the early years of the movement Francis visited Clare often, but as his own community grew his visits decreased and she had to find within herself the inspiration she had received from him. Their friendship grew more equal, and Francis would consult her on important decisions. In his last illness he came to San Damiano and Clare cared for him. 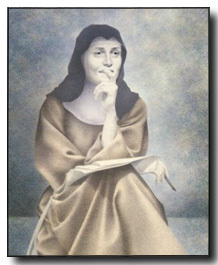 Although she called herself “the little plant of Francis” Clare was in fact a powerful and innovative woman, the first woman to write a Rule (a guide to a way of life) for a religious community. She really struggled with the institutional Church most of her life, as Popes and Cardinals resisted the renewal movement and sought to draw her away from the poverty which was at the heart of her following of Jesus. But she remained firm, and her Rule was finally approved by the Pope himself just a few days before her death. By that time there were more than 150 communities which followed her way of life, mainly in Italy, southern France and Spain, but spreading as far east as Prague, and as far west as Bruges. Agnes, previously a wealthy woman, was Abbess of the community of Poor Clares in Prague. Although she and Clare never met, a close friendship developed and was maintained through their correspondence for over twenty years. In 1240 Ermentrude, a noble lady originally from Köln, went to Bruges, Belgium, where she lived for twelve years in a hermitage. She heard about Clare and the Poor Ladies and left for a pilgrimage to Assisi and Rome, but found that Clare had already died. She returned to Bruges and transformed her small hermitage into a monastery of Poor Ladies and then and then established other monasteries in Flanders. Clare had written two letters of encouragement to her. 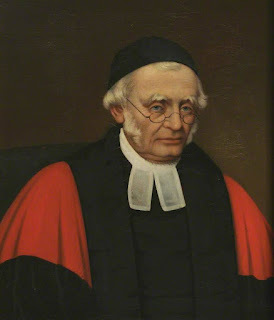 Dr Pusey: "one of the very greatest Catholic teachers and spiritual directors of the modern period"
Unfortunately there persists a popular image of Pusey as gloomy, grim, sad and penitential all the time. Now, it is true that throughout his long life he had more than his fair share of personal disappointments and real tragedies (one or two of which might have crushed a weaker person). Each of these left its mark on him. Yet it is precisely they which make his sermons and spiritual writings all the more relevant to us when we struggle. What he says can never be dismissed as trite or untested by experience. We also know that he would often mutter the penitential psalms under his breath. But in his sermons, reflections, letters, meditations and prayers we find a man who like St Paul scaled the heights as well as plumbed the depths both of human life and spiritual reality, a man whose walk with God drew many to the Saviour. So, today I share with you these paragraphs from Pusey's sermon, "Miracles of Prayer", preached at Christ Church Cathedral, Oxford, on Septuagesima Sunday, 1866. The entire sermon can be downloaded in pdf format HERE. I have also included four of my favourites from among Pusey's prayers. Prayer is "the ascent of the soul to God;" it is the beginning of that blessed converse, which shall be the exhaustless fulness of eternal bliss; it is the continuance or renewal of union with God. which abide only in thine abiding joy. to do and bear what shall please thee. Amen. how to ask thee each moment silently for thy help. teach us at once to ask thee to forgive us. enable us, by thy grace, quickly to turn to thee. May nothing come between us and thee. wiliest us to will, do, and say. Work thy holy will in us, and through us, this day. though we see it not nor know it. O God, my God. Amen.